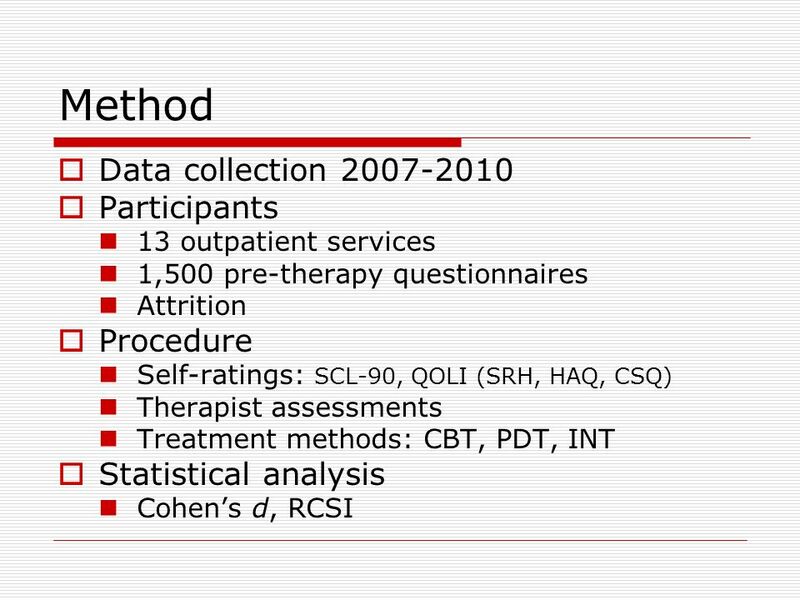 Everyday evidence – therapy outcomes in Swedish public health service settings SPR 42nd annual meeting Bern, June 31, 2011 Andrzej Werbart & Lars Levin. 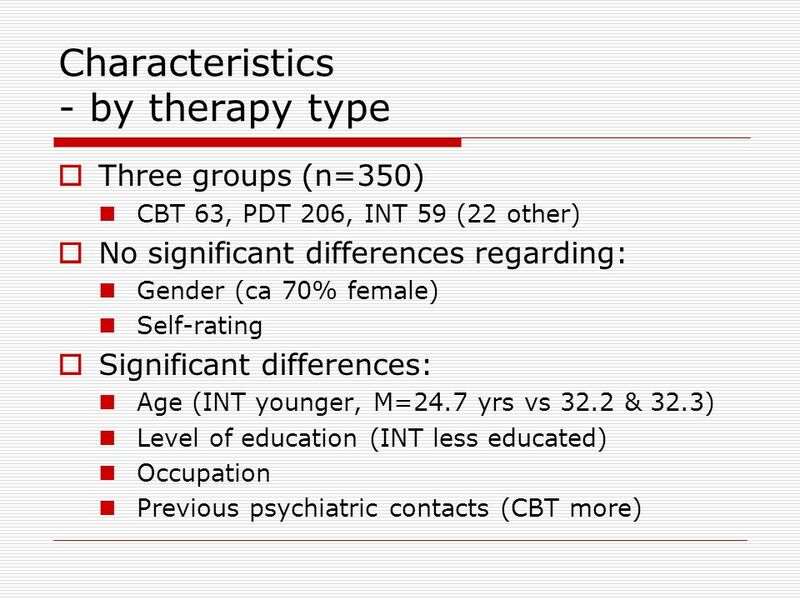 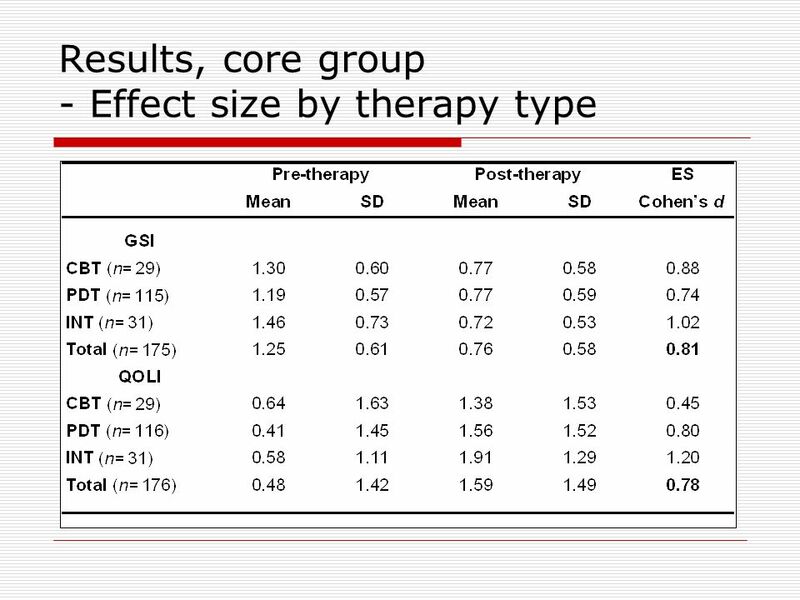 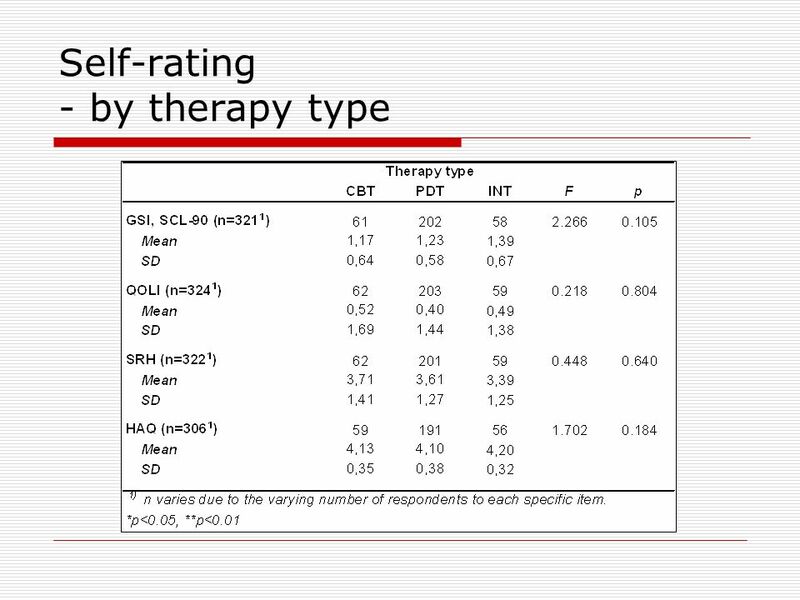 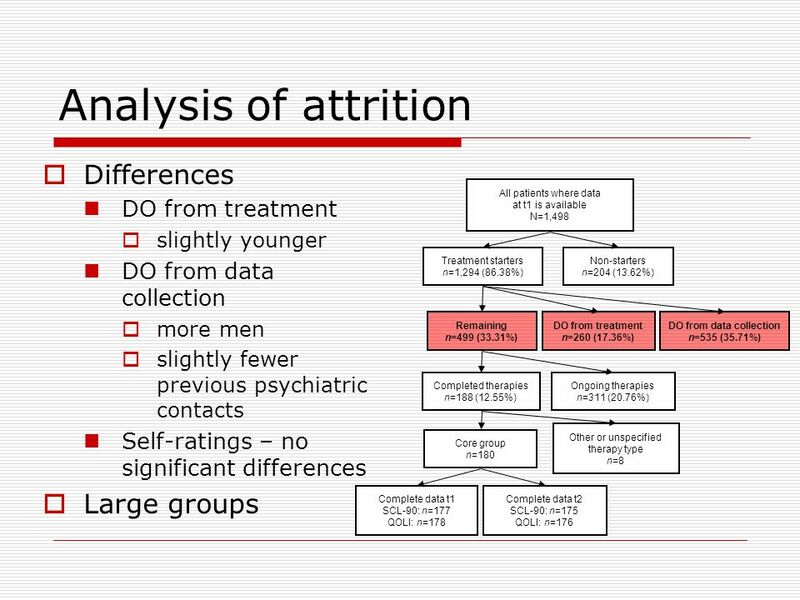 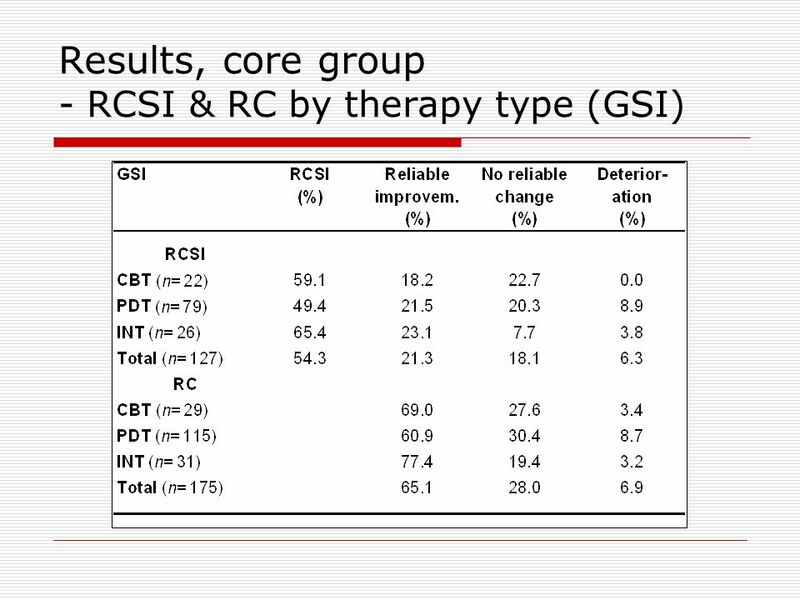 14 Discussion The different therapy methods did not differ significantly in effectiveness But effective for different aspects? 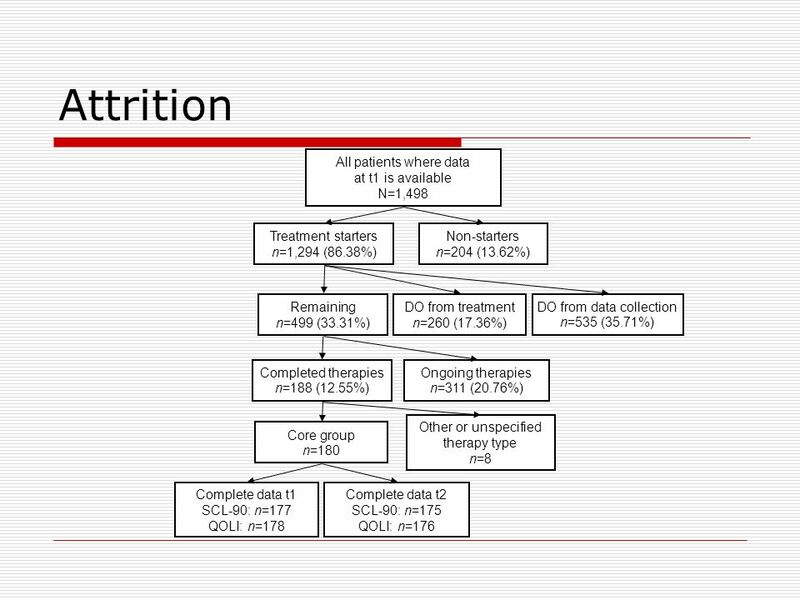 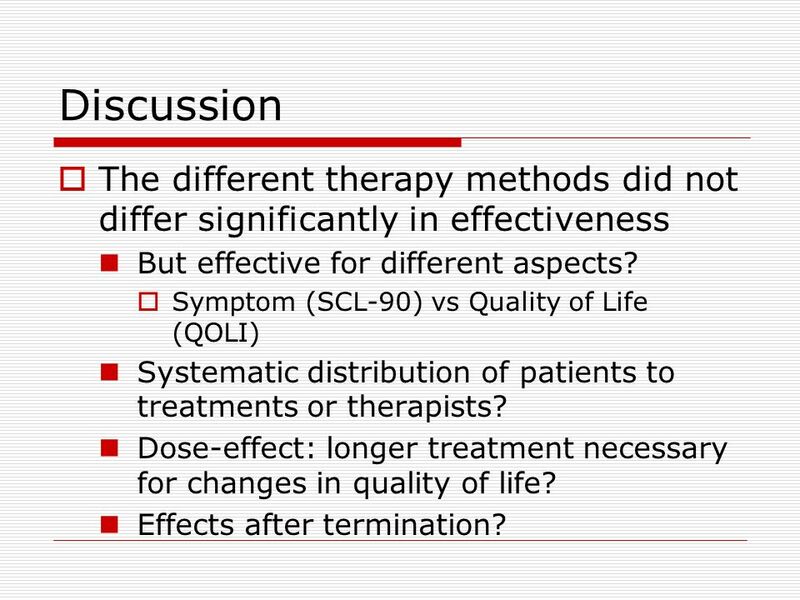 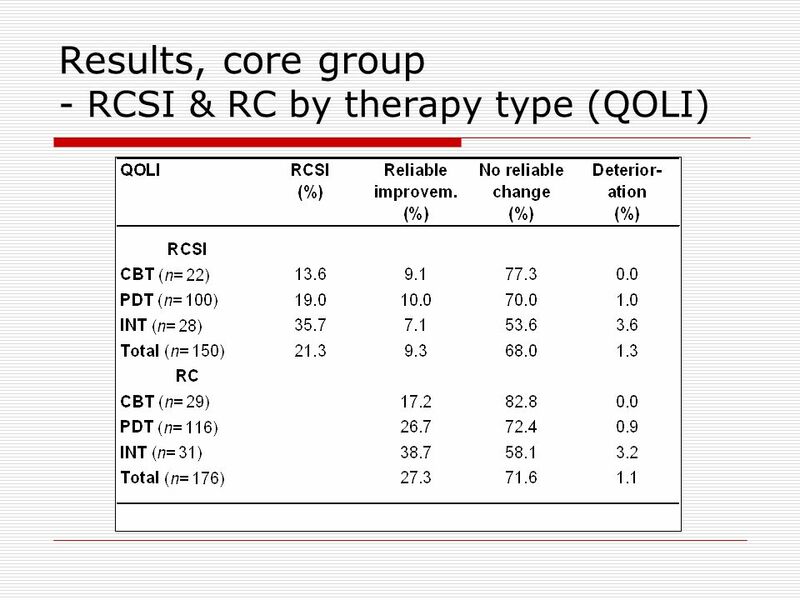 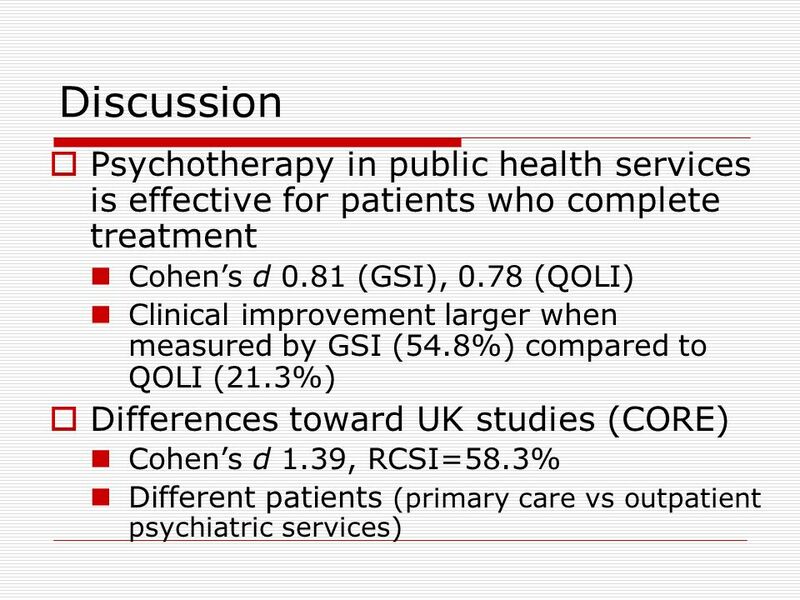 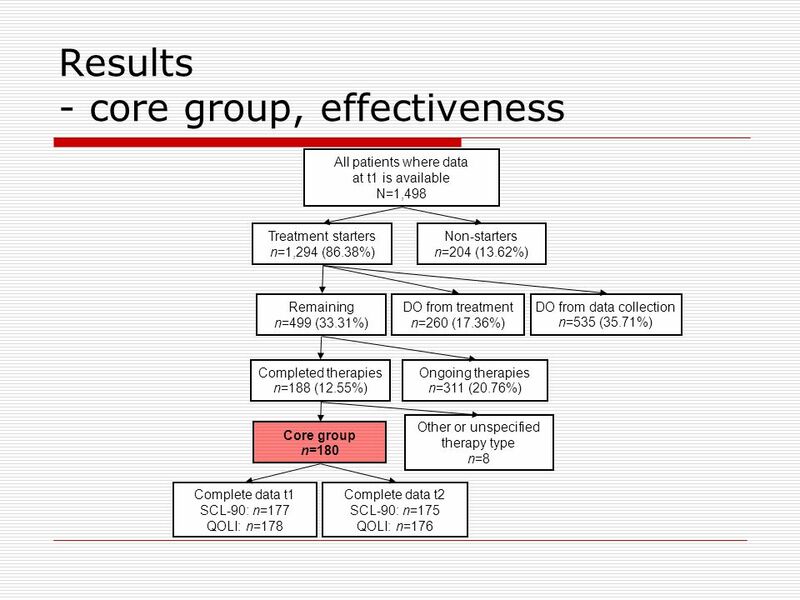 Symptom (SCL-90) vs Quality of Life (QOLI) Systematic distribution of patients to treatments or therapists? 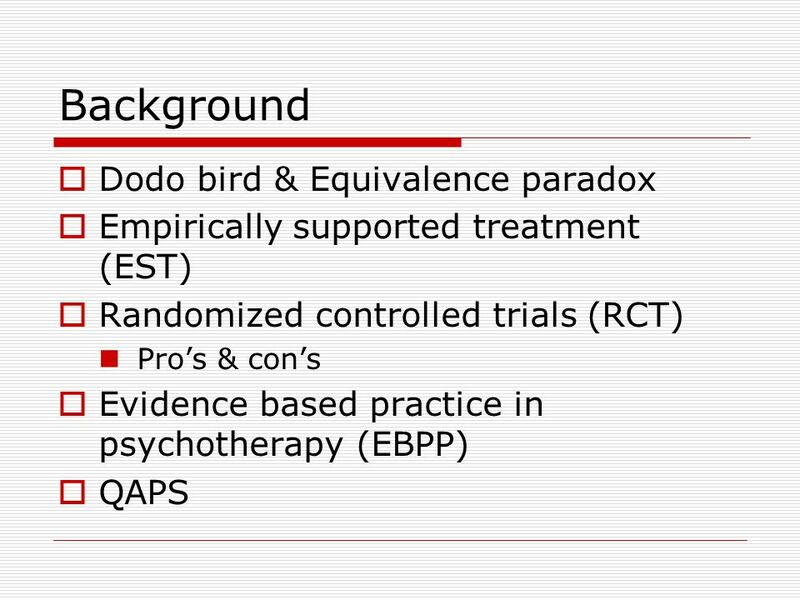 Dose-effect: longer treatment necessary for changes in quality of life? 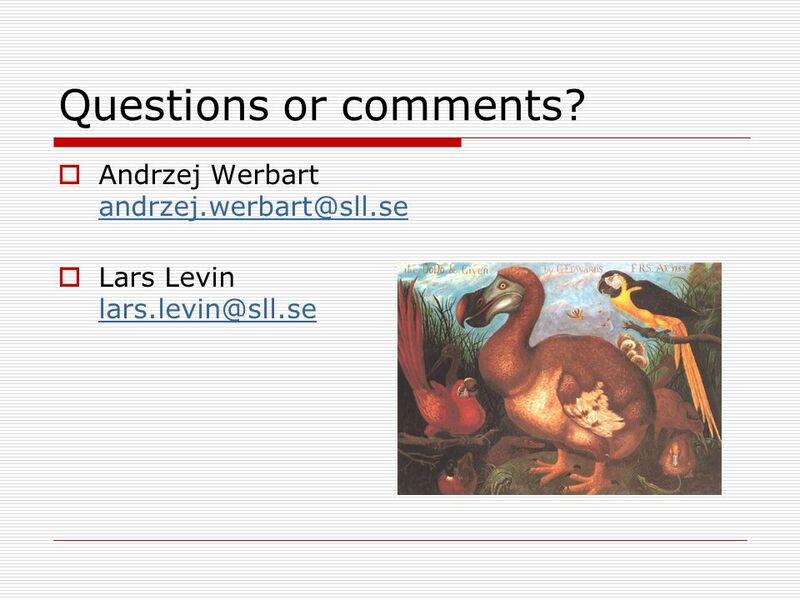 Effects after termination? 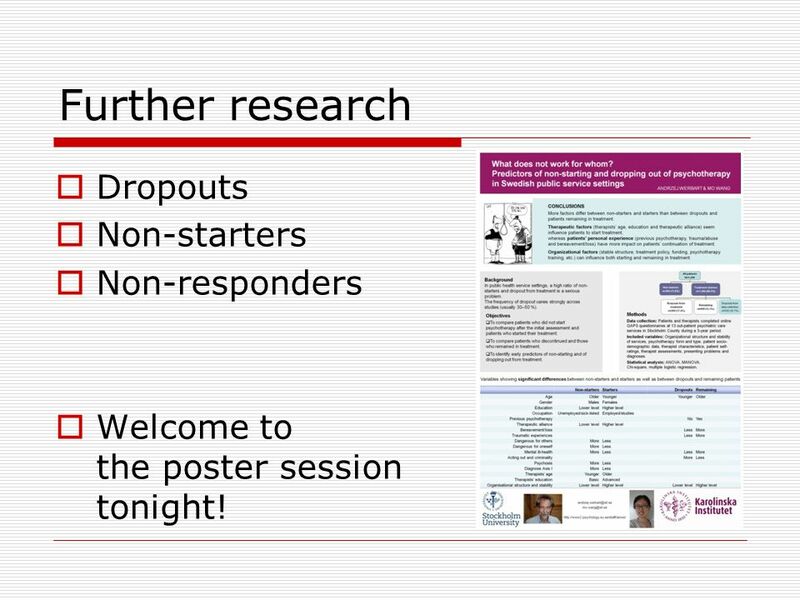 15 Further research Dropouts Non-starters Non-responders Welcome to the poster session tonight! 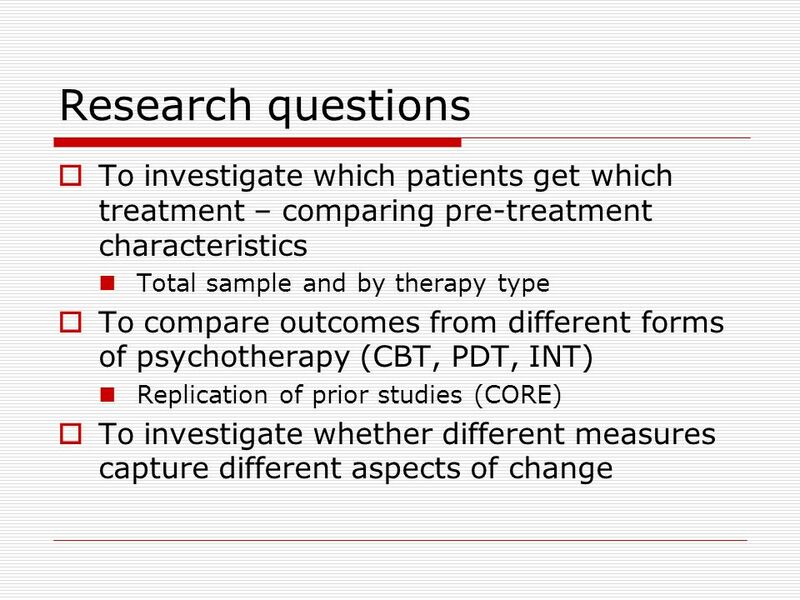 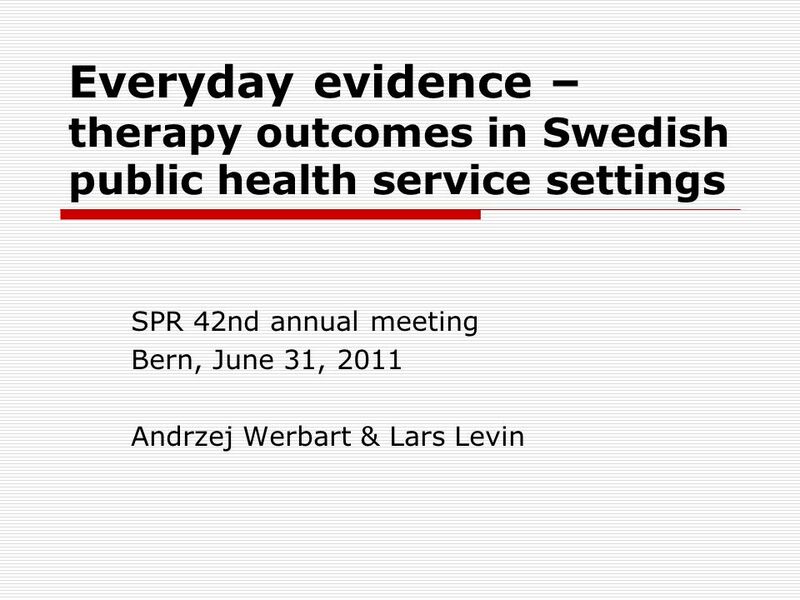 Download ppt "Everyday evidence – therapy outcomes in Swedish public health service settings SPR 42nd annual meeting Bern, June 31, 2011 Andrzej Werbart & Lars Levin."